2014 is off to a great start. 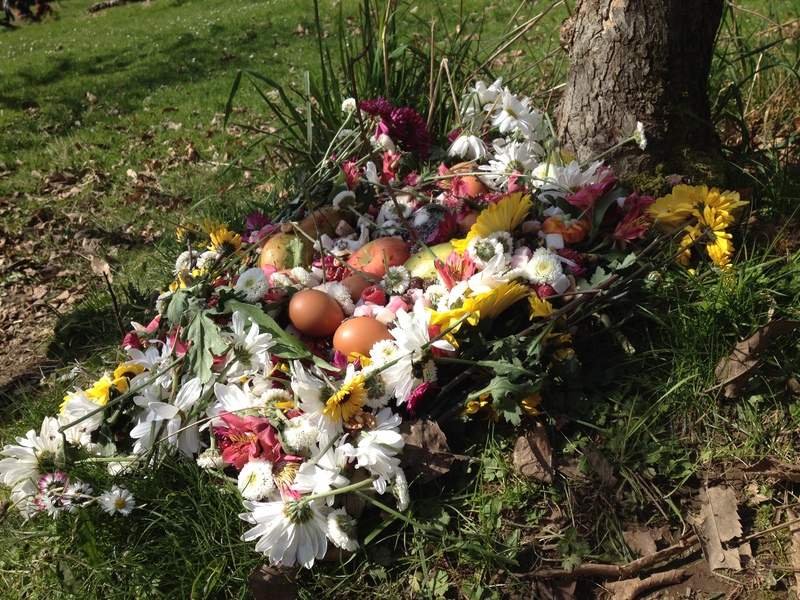 Recently someone created an art installation consisting of flowers, eggs, apples and other fruits at the base of one of the trees. 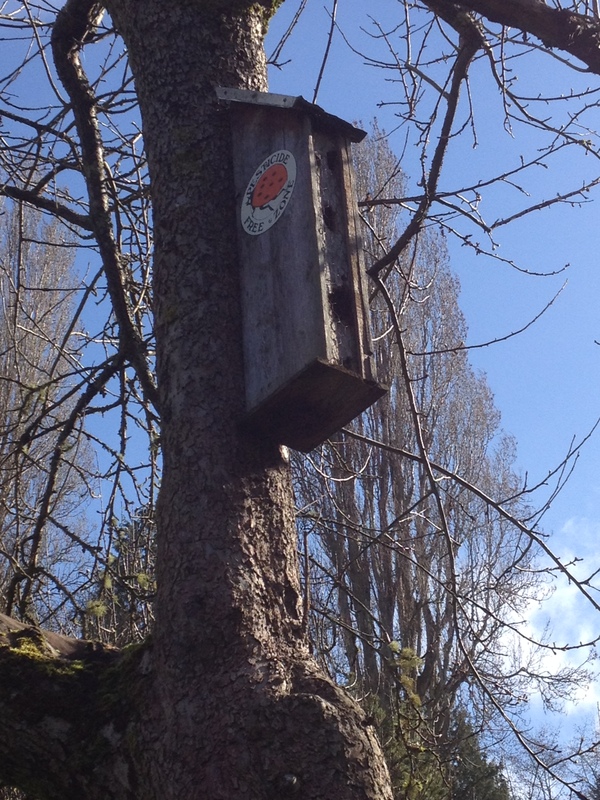 We’ve got a mason bee house in the orchard, and the trees are leafing out and blooming. We’ll be holding our first work party on June 7th. 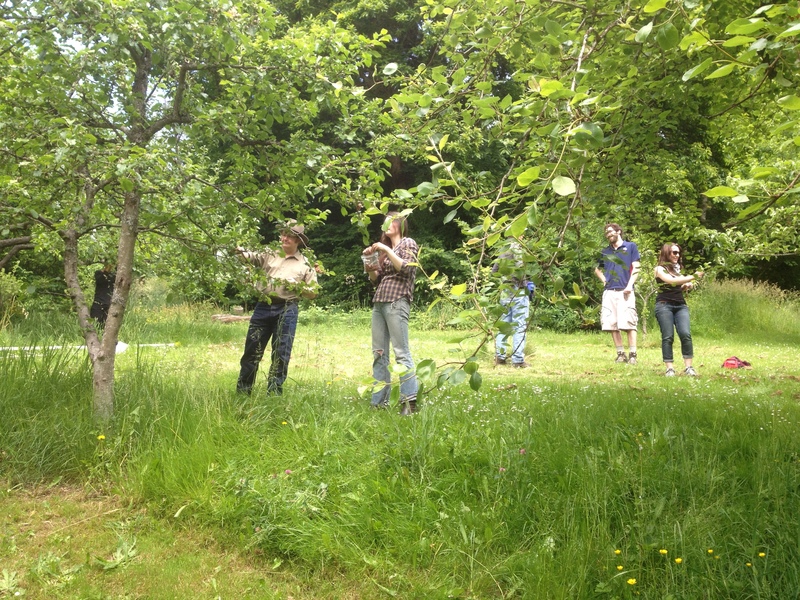 The Seattle Works group has selected Piper’s Orchard as one of its two environmental projects for its annual city-wide work party day. This should prove to be an excellent work party as we put protection on new apples, do weeding, mulching and orchard beautification. The work party will run from noon – 3:30. 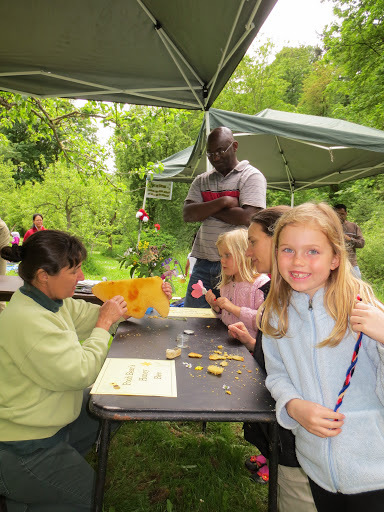 Come join the fun and help the orchard! On June 8th we had a good crew applying foot sox and other barriers on baby apples to protect them from pests. We enjoyed perfect work party weather, mid-60’s with the sun appearing during the last hour. 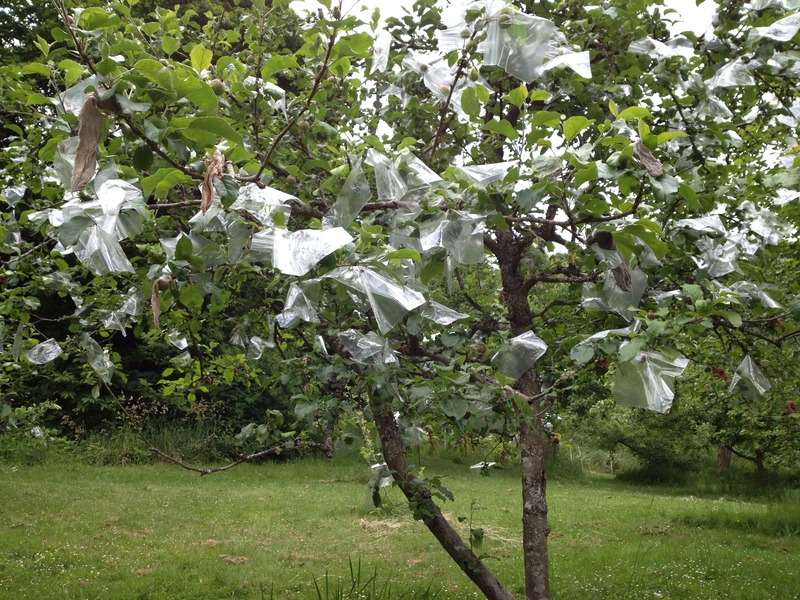 A number of paper bags had already been placed on some of the fruit. In addition to nylon foot sox, a good number of plastic baggies were also put on. 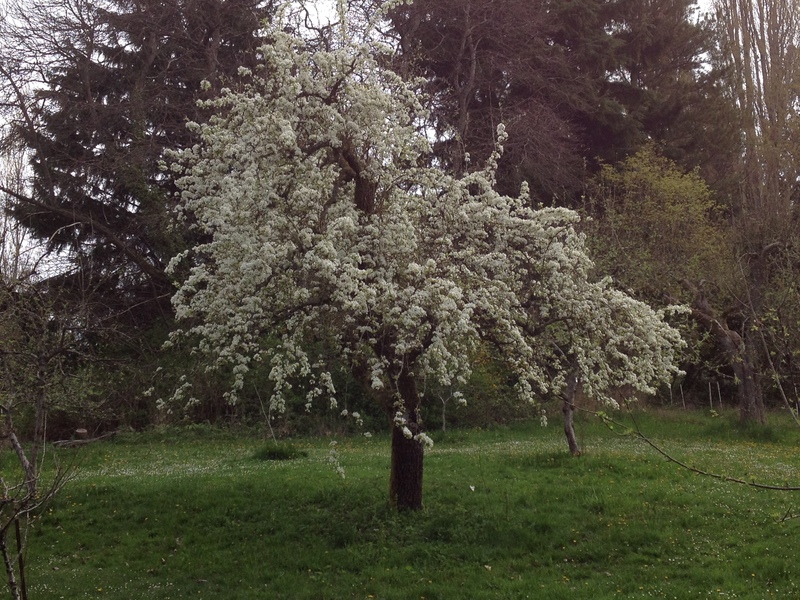 During this time, we also thinned the apples, and focused on the trees that have the tastiest varieties of apples. 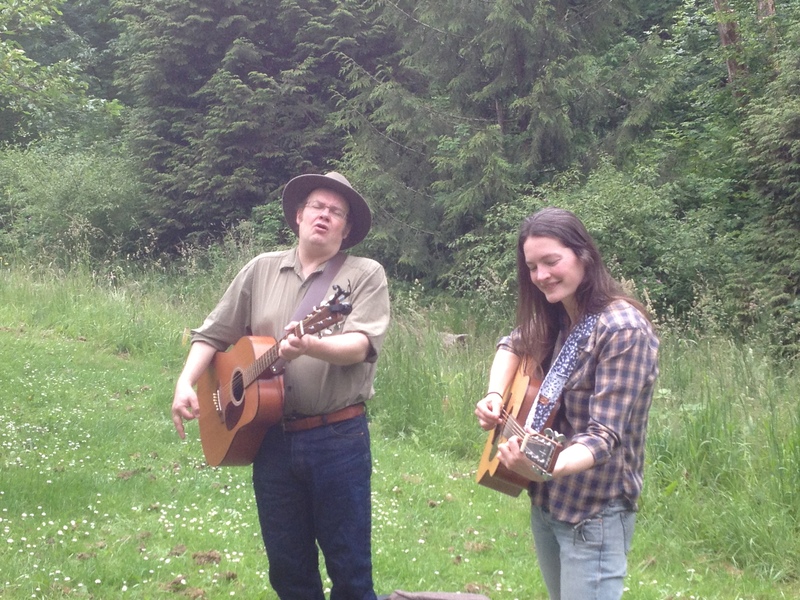 We were fortunate to be serenaded by Will Morgan and Susanna Wegner. Work’s much more enjoyable when you’ve got some good conversation and music to help you pass the time. 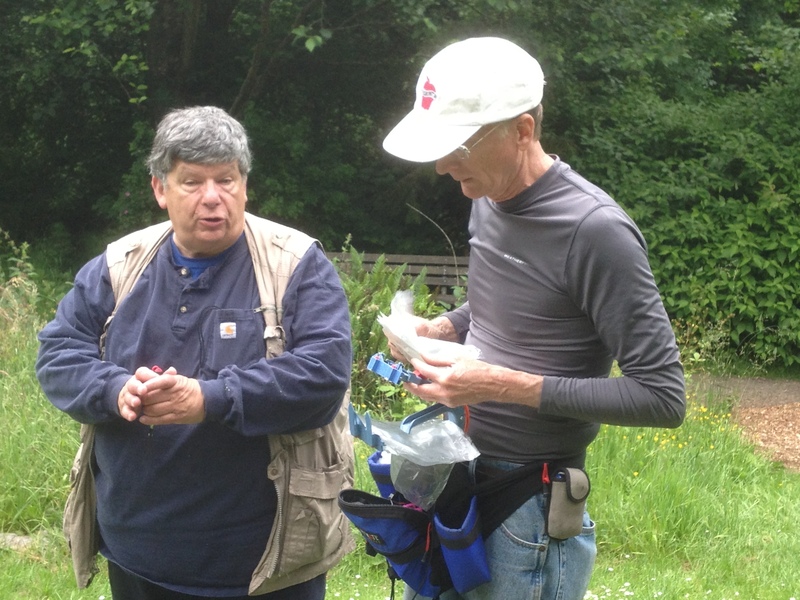 Don shows Bob his battery-operated plastic bag applicator. We so appreciate the 15 volunteers who showed up. 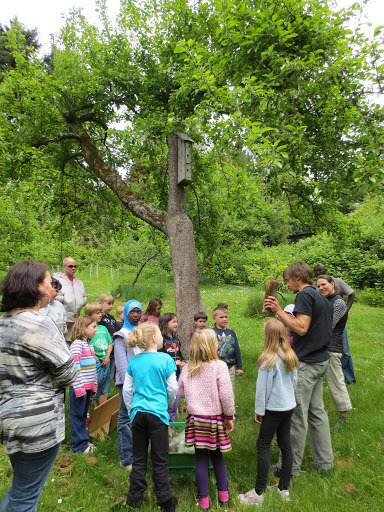 On May 18th Friends of Piper’s Orchard hosted Viewlands School for an afternoon that focused on bees, pollination, and the historic orchard. Tammi Lynd coordinated for the school, and was a joy to work with. She promoted the event, created posters in several languages, and got us lots of publicity. Brian Gay from Parks did a really terrific job planning and coordinating the event, and facilitating the various activities of the day. His craft project about flowers and pollinators was a big hit, and he was expert at pacing the various educational opportunities, keeping the group on task and having fun. The kids and their families enjoyed working with him, and so did FOPO. Ingela, Don, Brian, and Trent gave mini-talks about bumble bees, beneficial wasps, orchard mason bees, and pollination, respectively. Ingela brought a honey comb from her own hive, and talked about both honey bees and bumble bees. 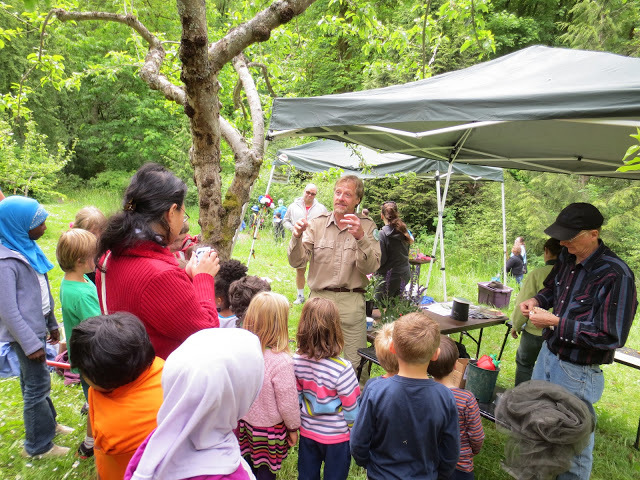 Trent explained mason bees and showed where they live in the orchard. Don talked about predator wasps and how they help the orchard. Brian showed the kids pollen. Each presenter knew just how to connect with the kids, and so everybody had a good experience. 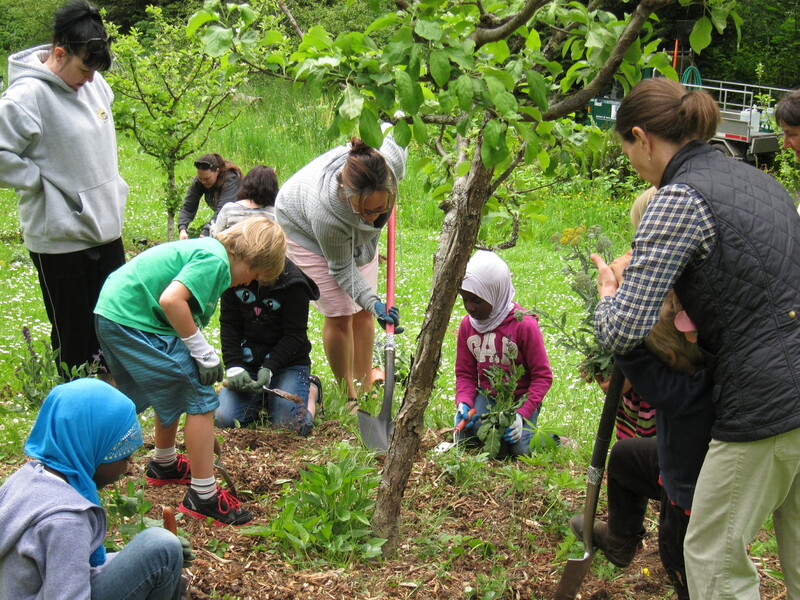 After the talks, the kids planted pollinator-friendly plants, part of FOPO’s Permaculture Plan. Fran spent the day, pitching in to help. Joan coordinated with Parks staffers ahead of time, getting us important help and tools. Meriam came on Friday, and prepped the planting areas. Andy came by to help, and brought his musician friends who played for us. In addition to Brian, we got lots of help from Parks. Sheila Brown, our new Park’s liaison, dropped by to get acquainted and show support. 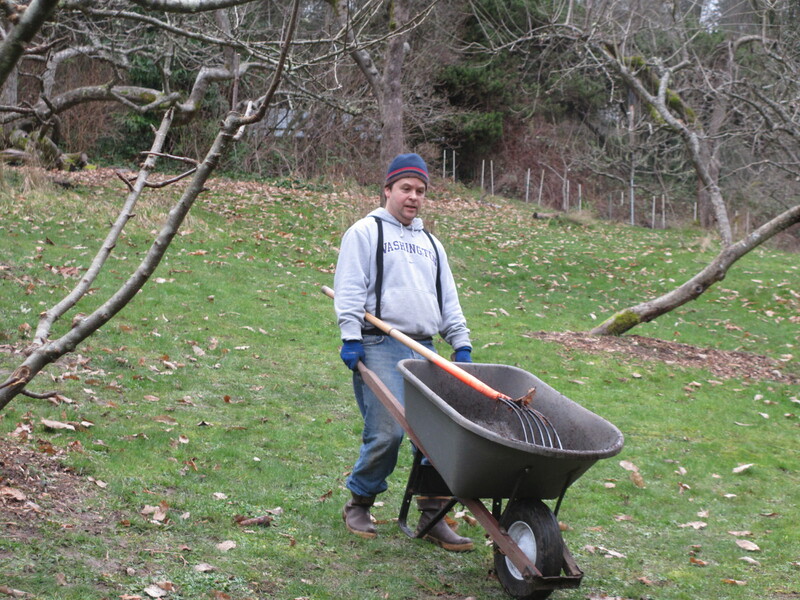 Rich helped spruce the orchard up, and Junior got us tools and other gear. The best part of the day, for me, was the kids. 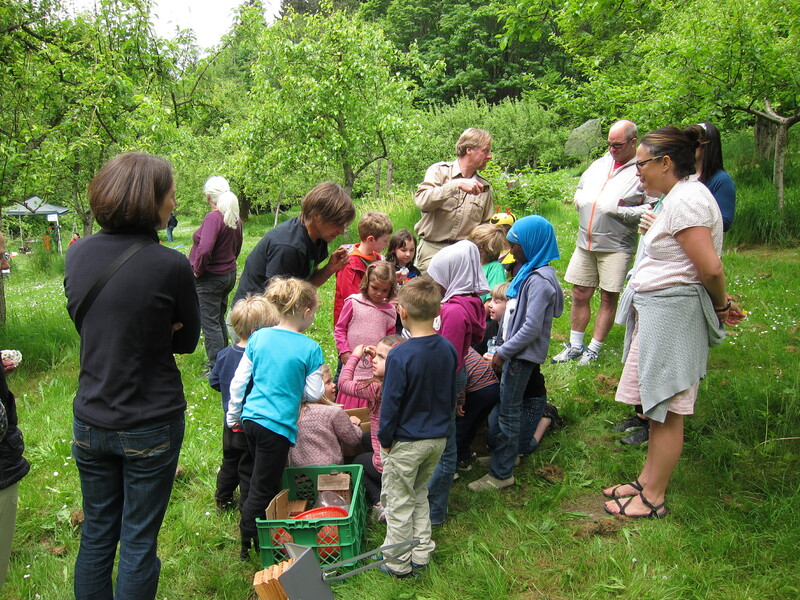 They brought enthusiasm, energy, and curiosity to the orchard. 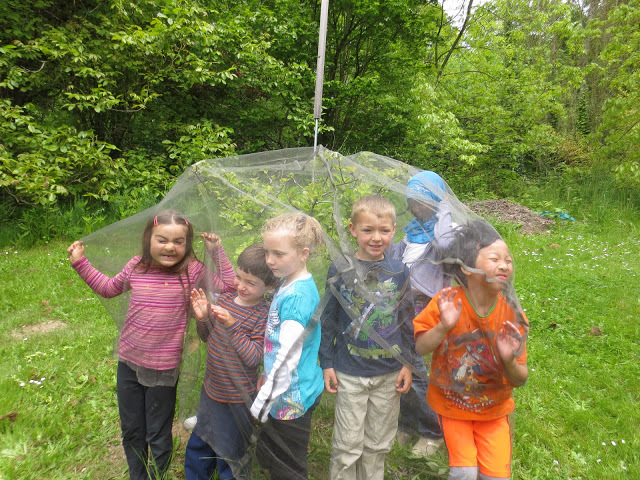 They learned about bees, watched butterflies, collected earthworms, planted flowers, and connected with the orchard and its critters. They chased each other around the trees, having a wonderful time. At the end of the visit, they came, with formality and manners that would have pleased Jane Austin, to thank us. 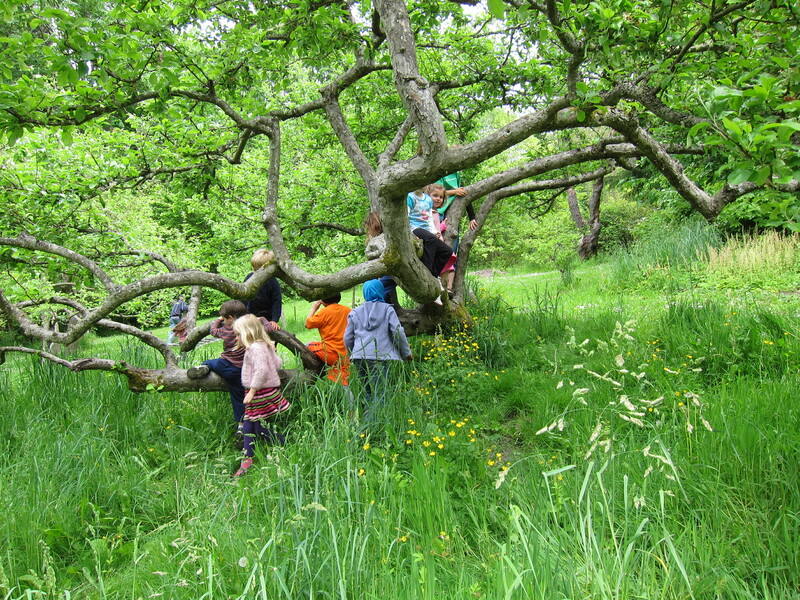 Before the event, I would not have thought kids would have so much fun in an old orchard. 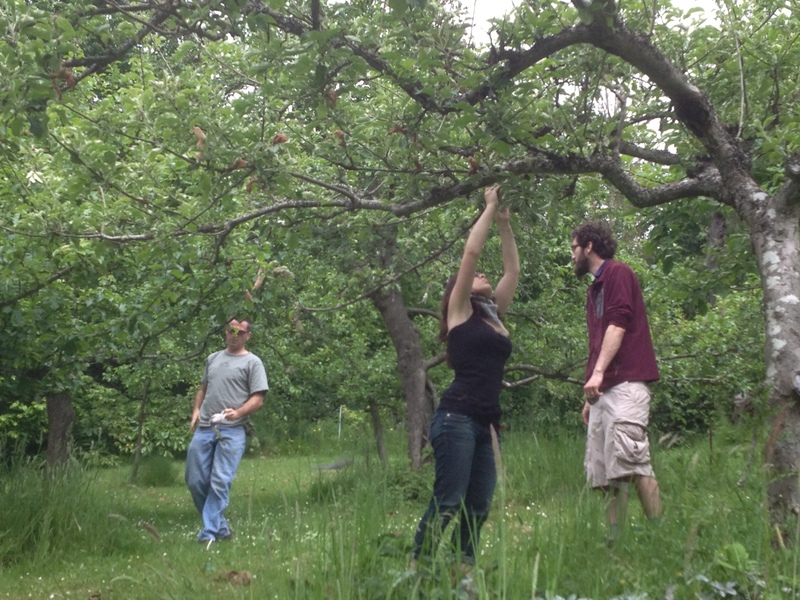 But there is something about Piper’s Orchard that fosters community. On Saturday, I discovered that applies to kids as well. All told, we had 33 participants from Viewlands. 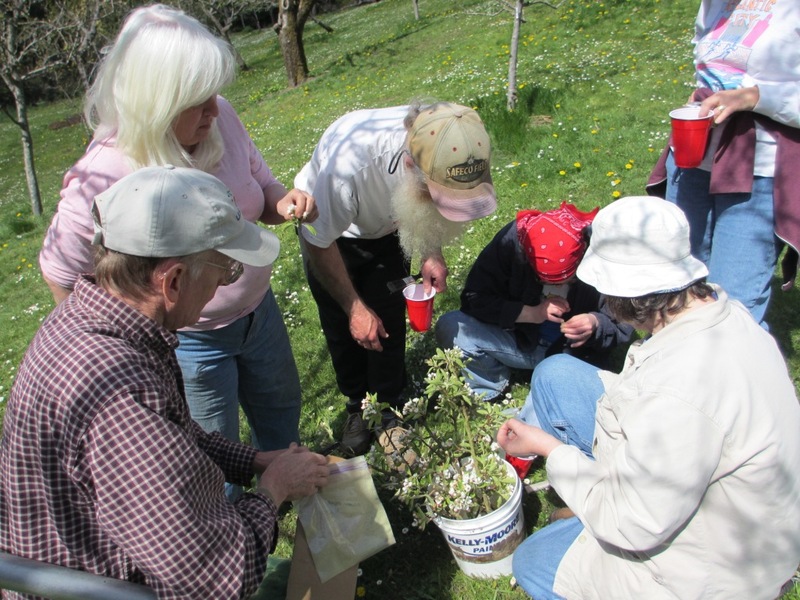 FOPO turned out eight volunteers, and at least four Parks professionals helped directly. No doubt there were others working “behind the scenes.” During the event, we had some drop-in visitors, so the total people count was about 50. Following is a gallery of pictures from the event. 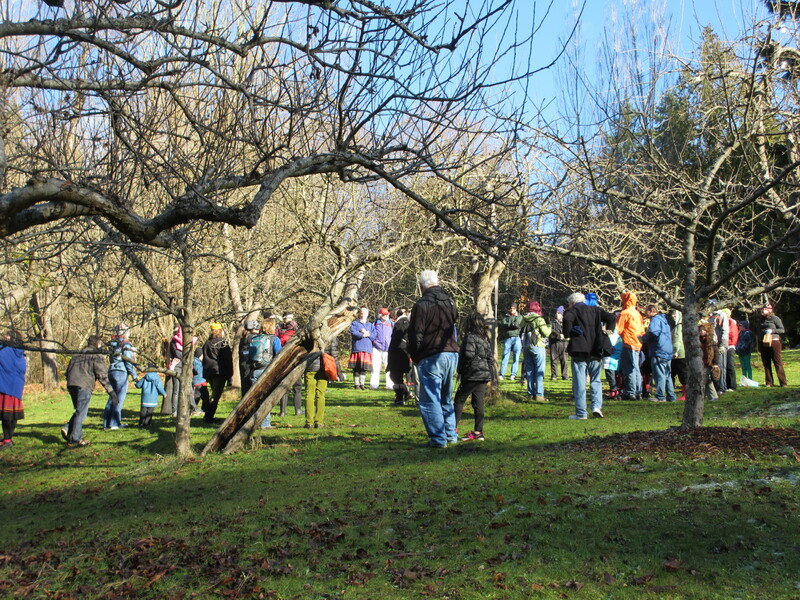 A number of new as well as seasoned volunteers showed up for the winter pruning work party on February 9th. We were pleased that a number of trees had already been pruned. 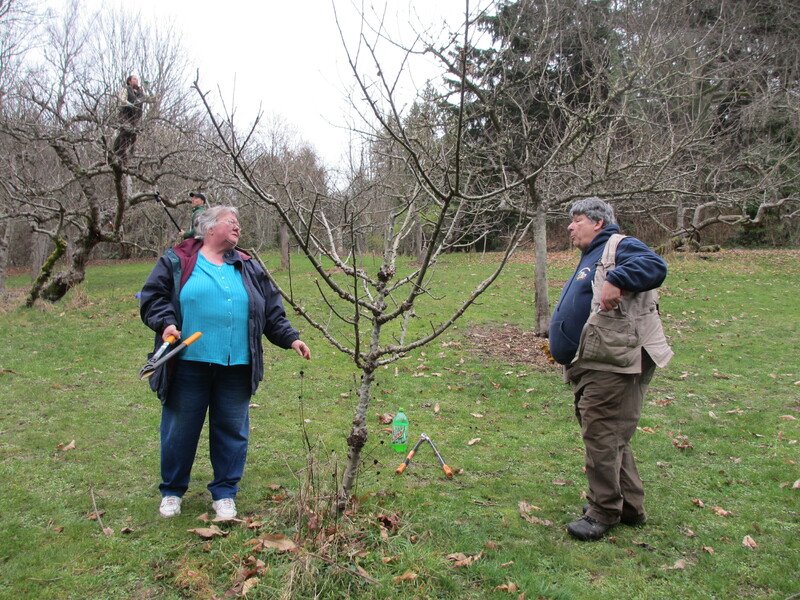 Work party leader Bob Baines shared his approach on winter pruning with those looking for expert guidance. 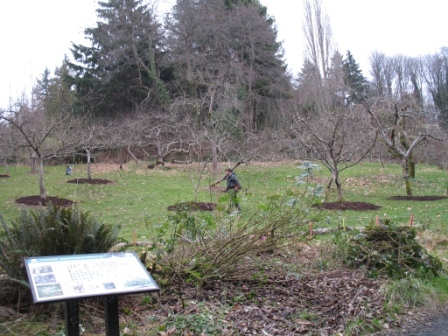 Several of us got involved in either moving large quantities of mulch up to a number of the trees or clearing away the large Oregon Grape growth above the Piper’s Orchard information sign, which has blocked a clear view of the orchard from that vantage point. Good job, everyone. Thanks! 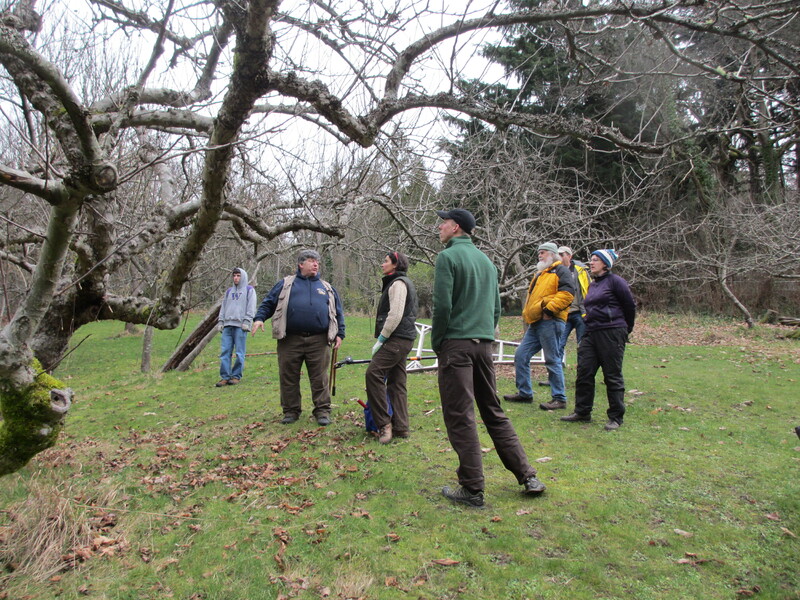 Bob discusses winter pruning with some of the volunteers. Bruce is pruning his “adopted” King apple tree. Will’s ready for another load of mulch. Some good results for Meriam and Dave. And enough twigs left over to make a wreath. Wilma and Bob review the pruning job. Check out the improved visibility of the orchard from the information sign. 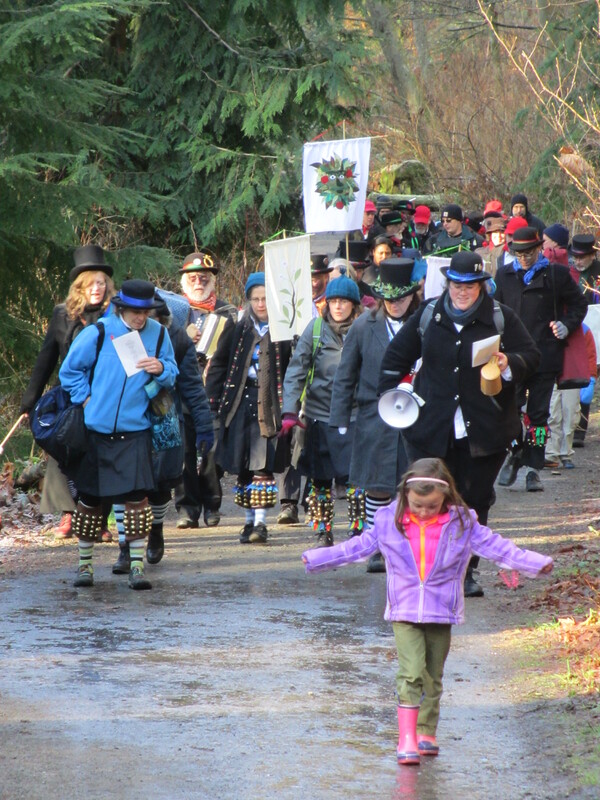 On January 12th, we were blessed with the presence of Sound and Fury Morris dancers, and other Morris dancer groups from as far away as Portland and Vancouver, B.C. 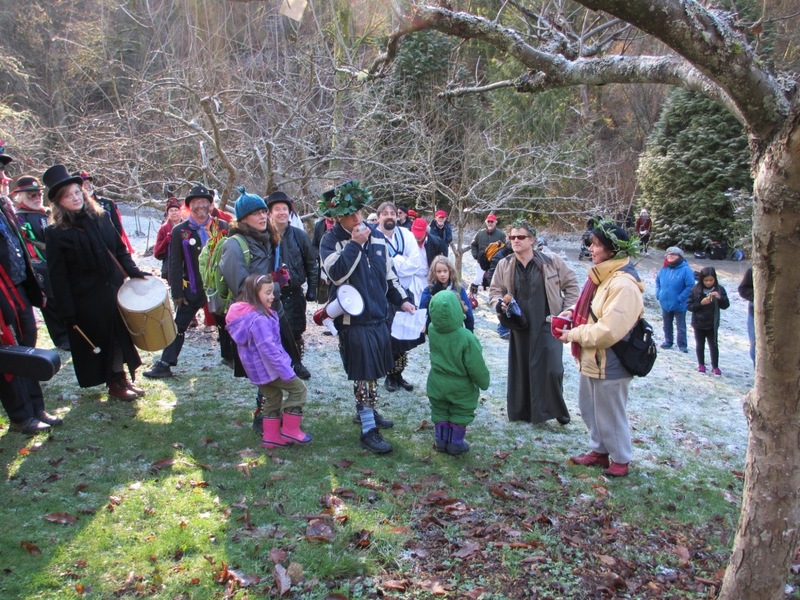 We had a Wassail King – David Frances, and a Wassail Queen – Lily Zaborski. 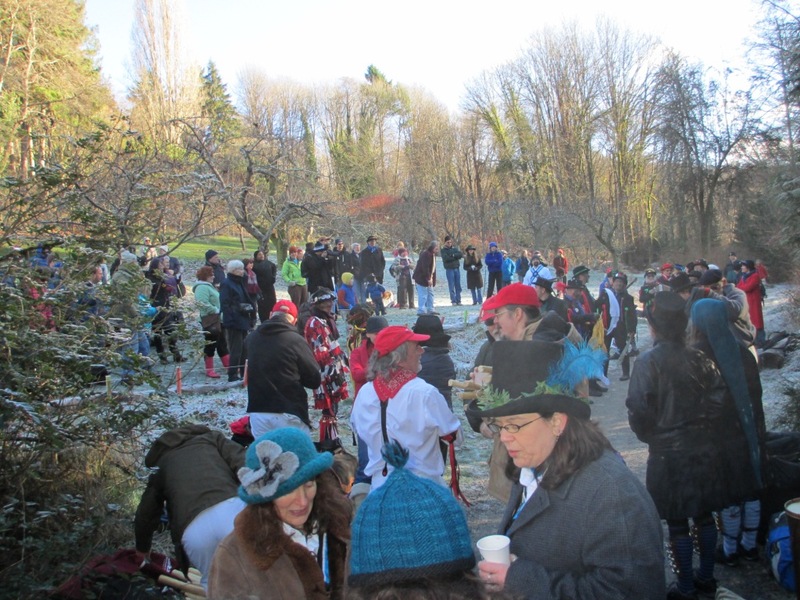 We had merriment, dancing, tree toasting, noise making, hot mulled cider, hot chocolate, treats and a good number of visitors. And, we had sunny, if chilly, weather. A perfect January day. Following are some pictures from the event. 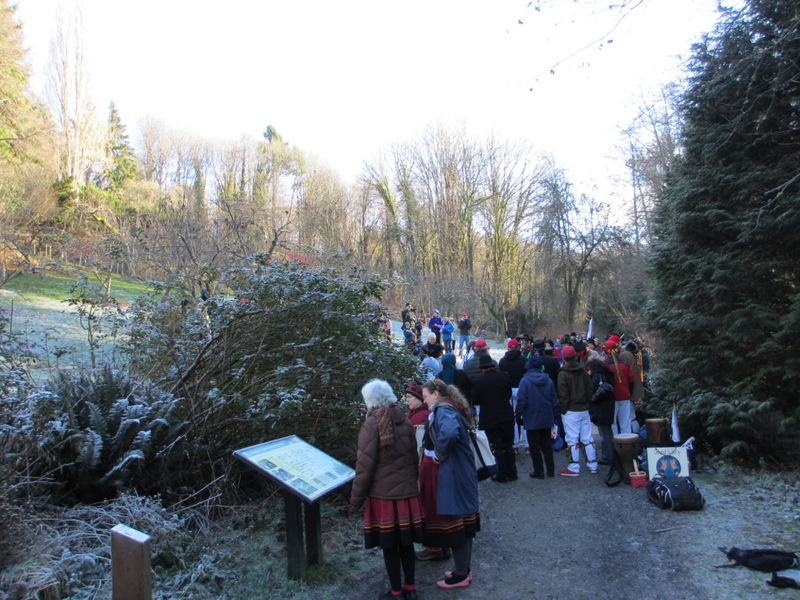 Visitors learned about the history of apple wassailing as well as Piper’s Orchard. Hark! I hear some bells, some marching, some music! All kinds of instruments and costumes. 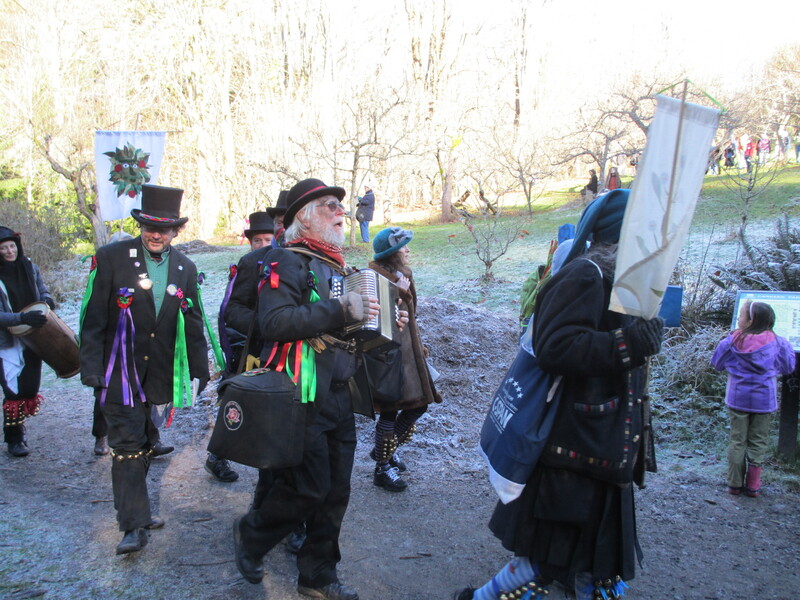 Celebrants and the Wassail King. Let’s have some cider to warm up. 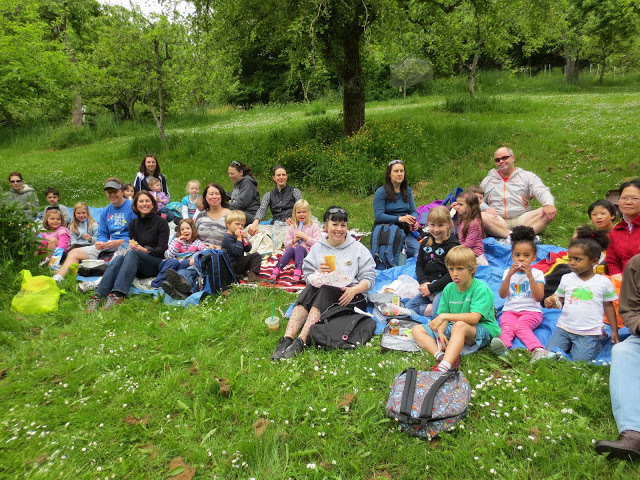 Wassailers check out the Piper’s Orchard story. 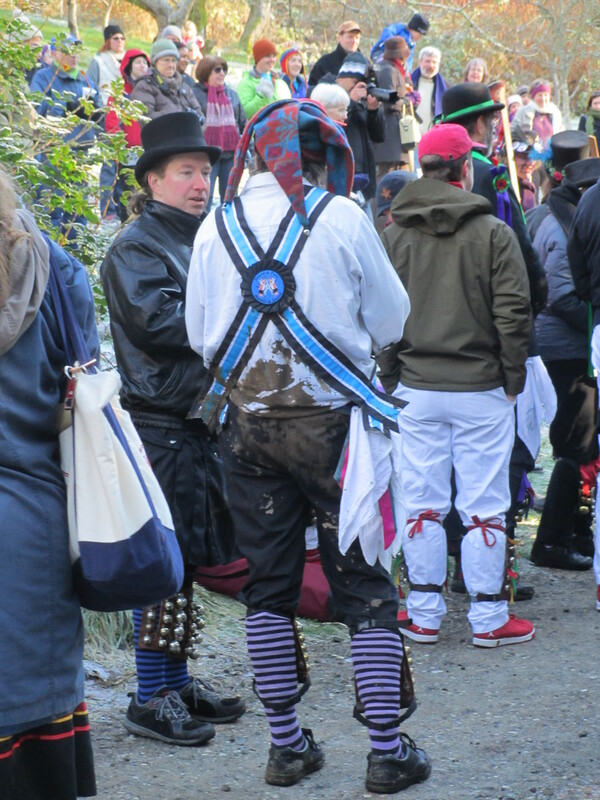 One of the wassailers learned that mud can be somewhat slippery. 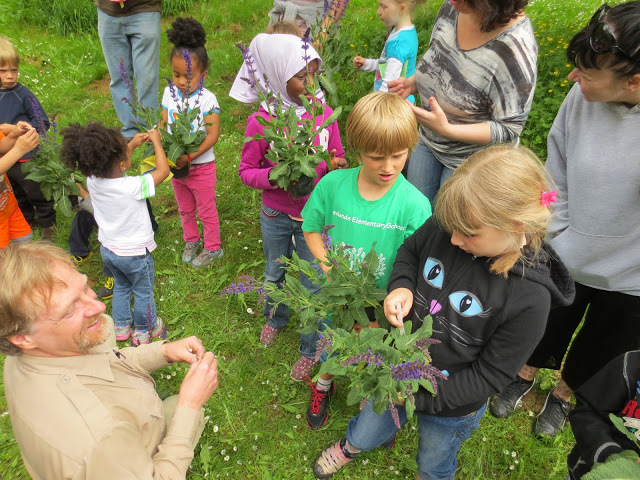 On April 14th, we had gorgeous weather for our work party, and we busied ourselves, learning about the hows and whens of hand pollination. 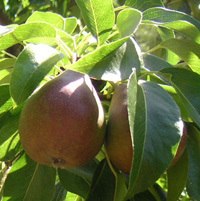 It was a bit early for many of the trees, but we worked on several pear trees that haven’t set fruit for the past several seasons. 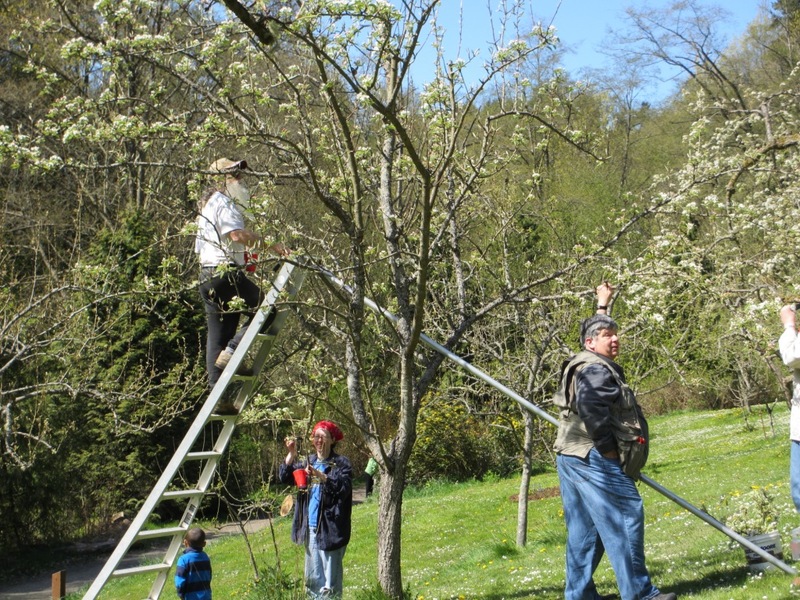 In addition to brushing pollen into blossoms, we hung up a bucket of pear blossoms with some sugar water in one of the trees near the mason bee house to attract the bees to pollinate the old fashioned way. Don also placed some pollen near the mason bee house so the bees could transport it to pear blossoms. We also weeded around the base of a number of trees and placed mulch around them. 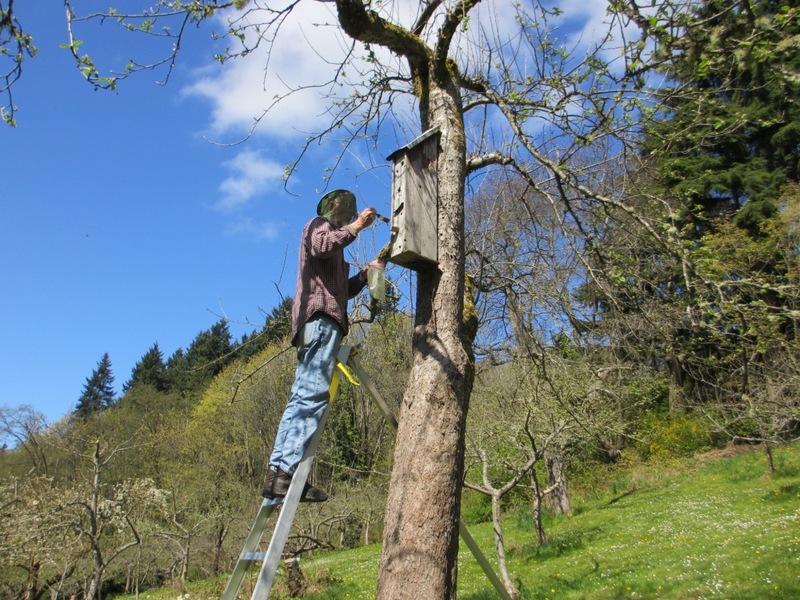 Don places pollen in front of the mason bee house in hopes that some will make it to a waiting pear blossom. 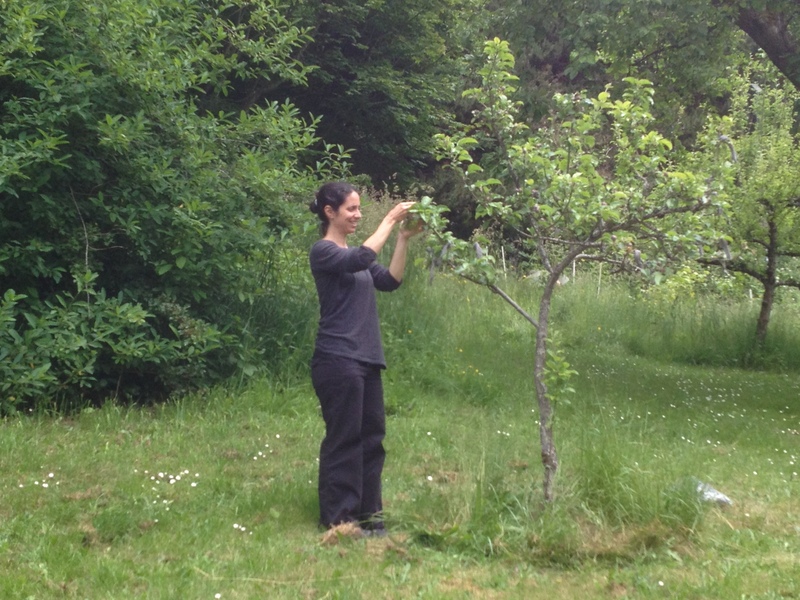 Kathy brushes pear pollen into one of the blossoms. 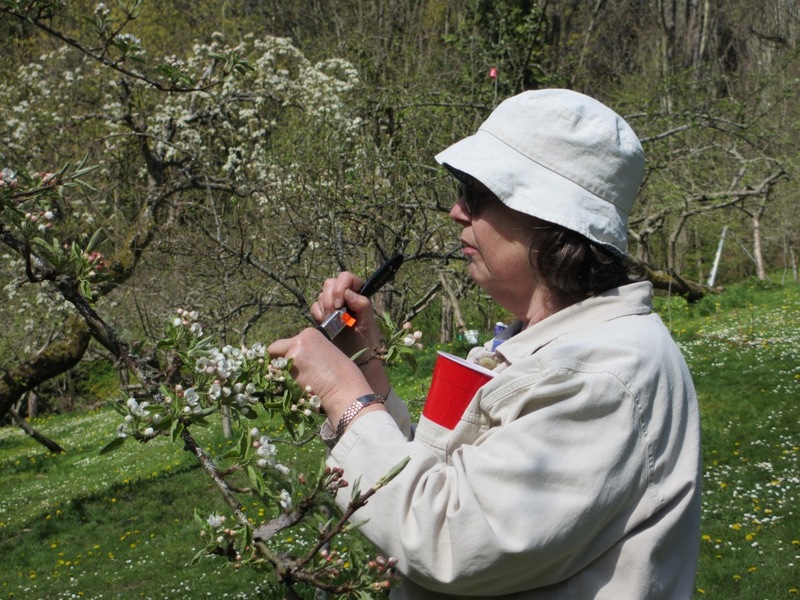 We're examining blossoms to better understand the blossom components and where the pollen needs to go. We had a great work party on February 11th, with a good turnout of experienced pruners cutting down both big and small branches. Then we brought them down to the trail, cut them up and stacked them (pretty neatly) for Parks and Recreation pick-up. (Thanks, Rich!) 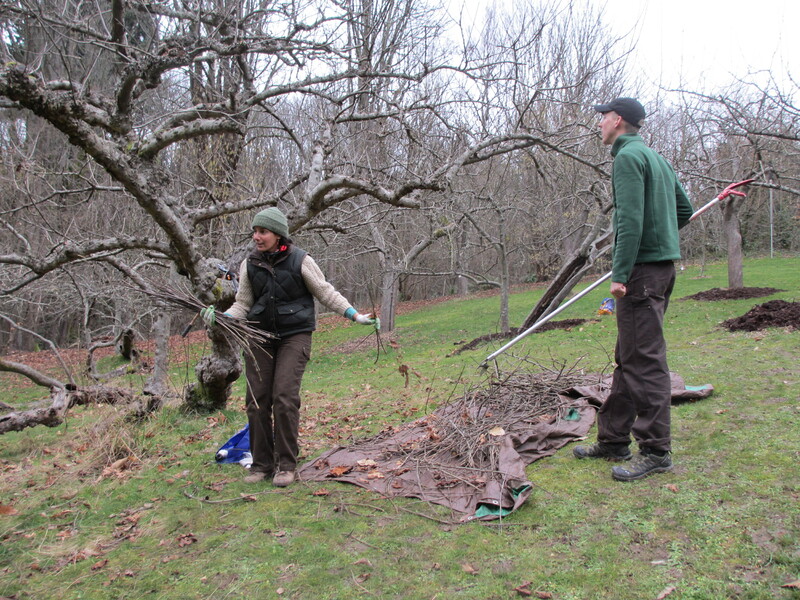 We even had a visitor from Spokane who’s working with a historic orchard there, and wanted to learn and work with our experienced pruners. Bruce can hide his face, but not his beard, as he prunes his “adopted” tree. 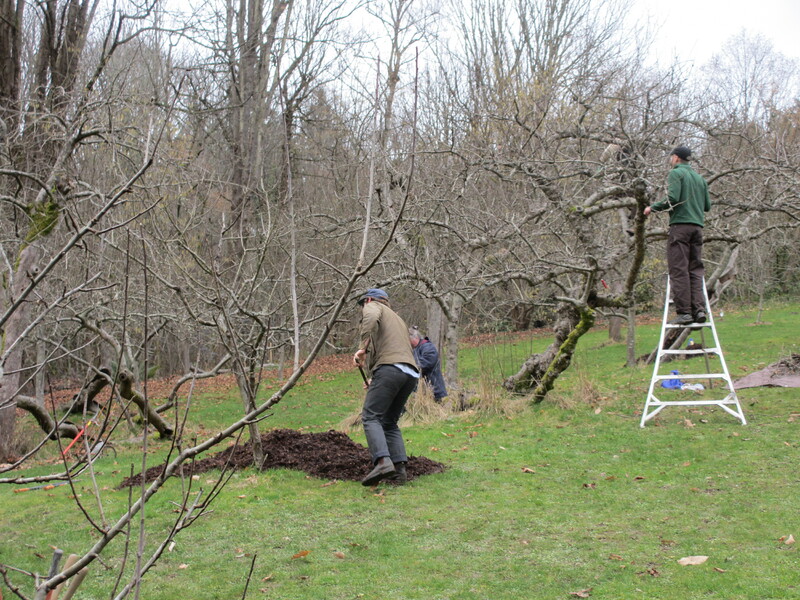 Gil did some great pruning, then invited everyone to his farm to plant hundreds of new apple trees. Don sharing his knowledge as Kathy looks on. Lilly and Gil’s well-behaved Burmese Mountain dog. 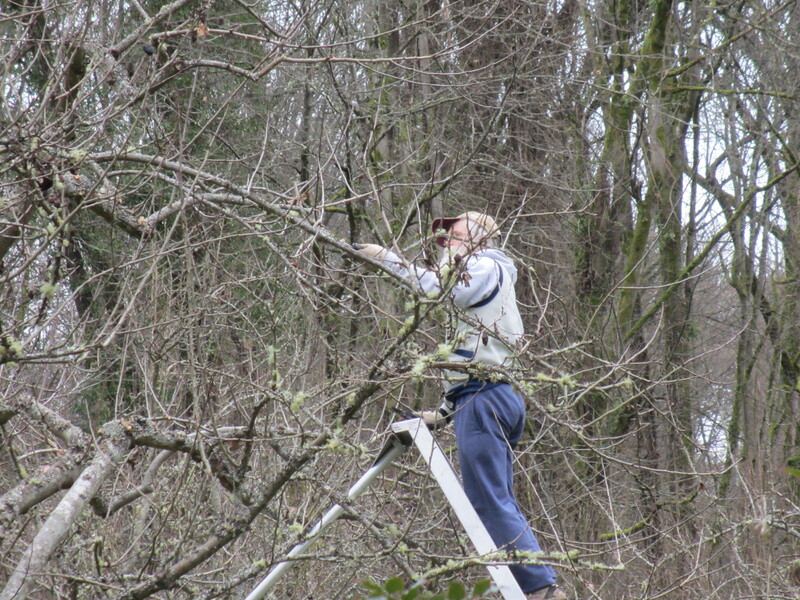 Dave, working on historic orchard in Spokane, got some good skills and networking, and helped a lot. Olivia looks comfortable as she’s pruning out excess unproductive branches. What grows up must come down. Dave, Don, Andy and Adam as we get all cleaned up.